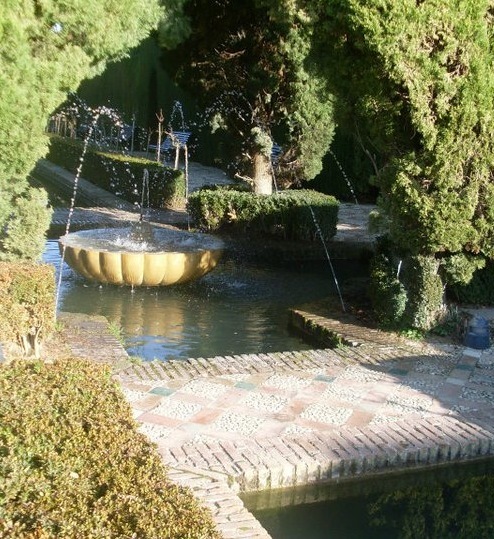 The Alhambra is one of my most favourite places ever, and I love how the hedges and the arch draw your gaze to what’s between them, deeper into the palace! 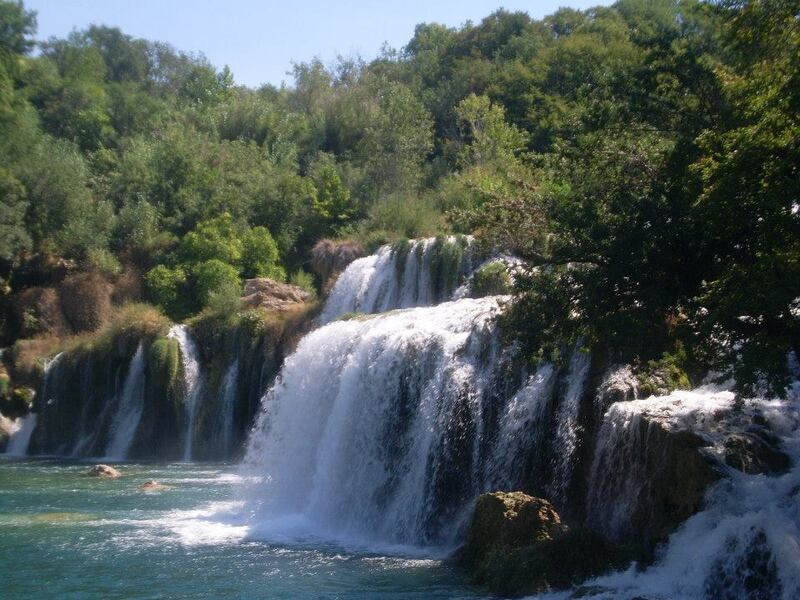 Flowing water at its best – beautiful waterfall! 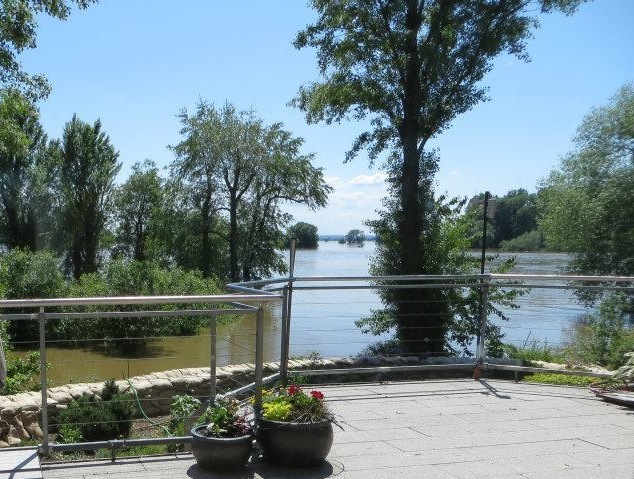 And at its worst: River Elbe having broken its banks during recent flooding. 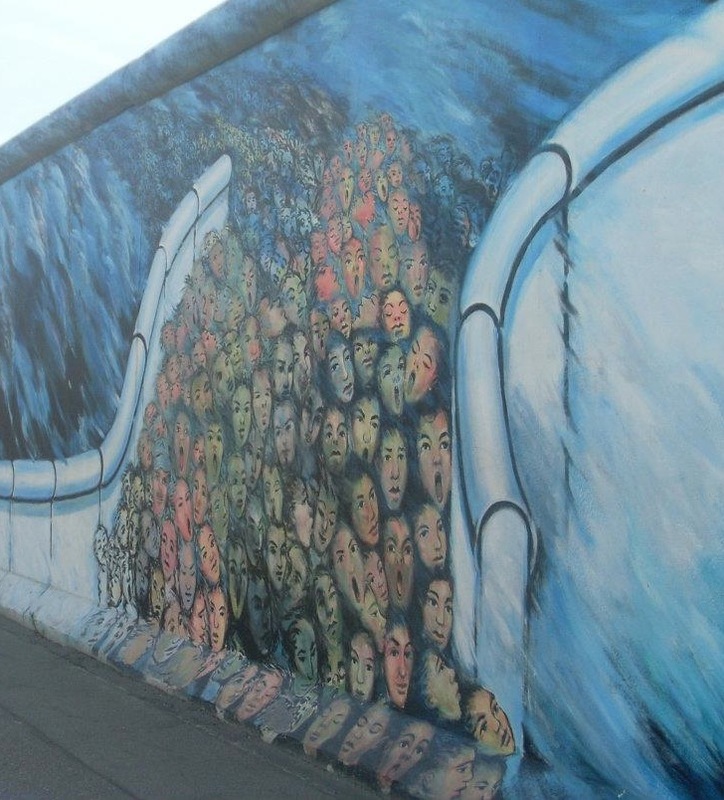 The flow of people when the Berlin Wall finally fell. 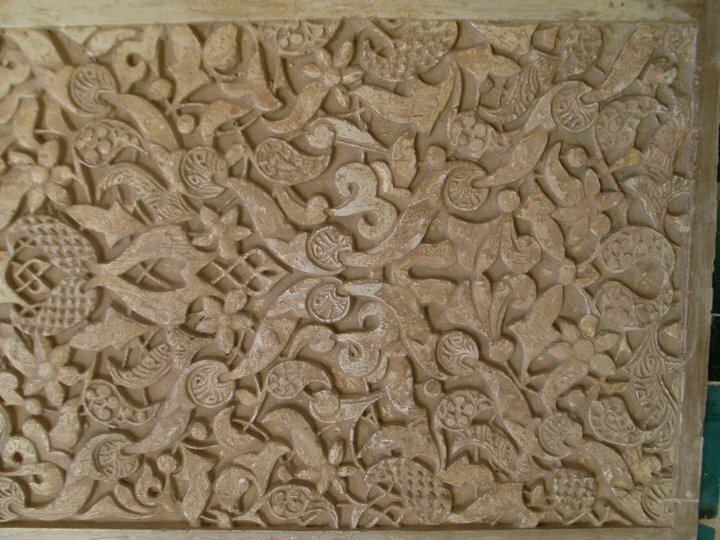 From one of my most favourite places, the Alhambra in Granada/Spain. Heaven for a pattern lover like myself! There is something very satisfying about being surrounded by beautiful things. Beautiful doesn’t mean expensive. And it means different things to different people. To me, it’s often the patterns and colours that strike a cord and make me smile. 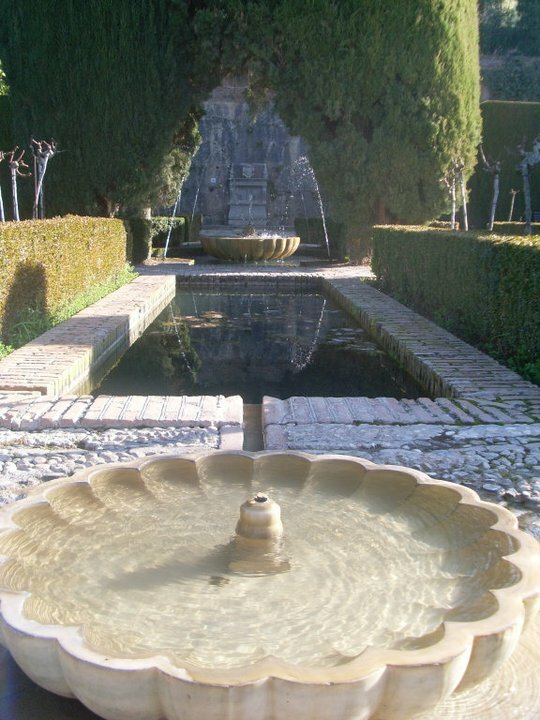 The Alhambra in Granada/Spain. I was buzzing for literally weeks afterwards. Tallinn/Estonia (where this picture was taken). So many beautiful (and often quirky) buildings. Amazing place! Closer to home, lots of fun shops in the Gräfekiez in Berlin/Germany, full of beautiful things. 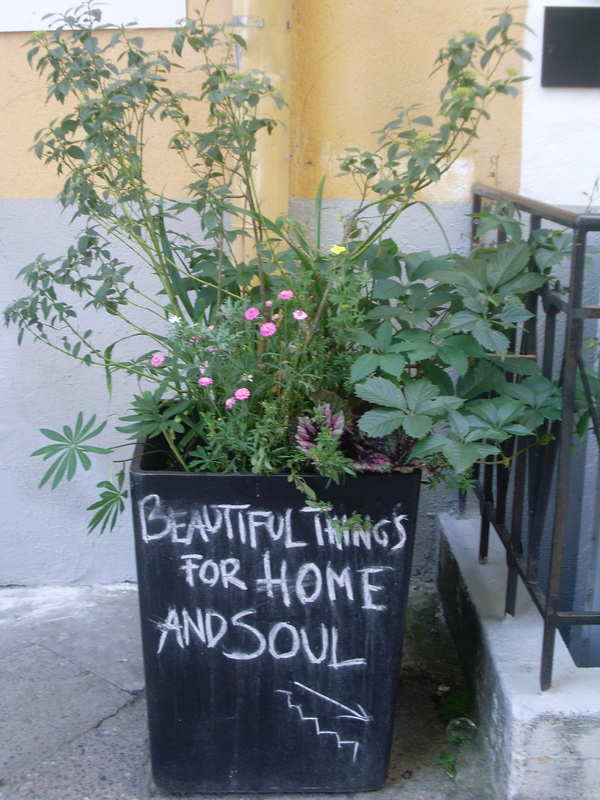 I’m thankful for beautiful things for the house and soul, they make my life richer.